Michelangelo’s Pietà is one of the most famous works of art in the world, achieving the same level of popularity that perhaps only The Last Supper and the Mona Lisa enjoy. The Fabric of Saint Peter estimates that the sculpture is visited by between 40,000 and 50,000 people every day. In 2018, the Fabric of Saint Peter, through its spokesperson Cardinal Angelo Comastri, expressed a desire to improve the sculpture’s lighting design in order to allow its thousands of visitors to fully appreciate the work, as well as to create exceptional scenarios for special occasions and particular visitors. Completed in1499, the Pietà was one of young Michelangelo’s very first sculptures. In Christian tradition, the theme of Compassion was usually represented by an image of the Virgin Mary sitting upright with the body of Christ portrayed as rigid and unmoving. In Michelangelo’s Pietà, Mary wears a dress with many folds and her head is covered by a draped veil. She holds Christ’s head with her right hand, her fingers squeezing the ribs under his right shoulder, and protects his body with a flap of her cloak. Christ’s head has fallen backwards and his right arm has dropped by his side. Michelangelo’s portrayal of the two protagonists and of Mary’s feelings is profoundly humanised. This absolute masterpiece is also the only work signed by Michelangelo. The band that runs around Virgin Mary’s bust, bears the following engraving: MICHEL.A [N] GELVS BONAROTVS FLORENT [INVS] FACIEBAT (Made by the Florentine Michelangelo Buonarroti). The sculpture is currently housed in the first chapel of the right hand side nave of the immense St. Peter’s Basilica, but it has only been there since the mid-eighteenth century. The sculpture is protected by a thick shatterproof glass screen following the lengthy restoration required as a result of an attack by a mentally disturbed individual in 1972. As such, the large amount of visitors can only view the sculpture from a fixed distance and well-defined positions. The call for a new lighting system was answered in October 2018 through a lighting design created by the Rossi Bianchi Lighting Design studio. This was revised and implemented through constant and constructive collaboration between all the parties and professionals involved, who were extremely conscious of the enormous responsibility undertaken by working on such an invaluable work of art. The design studio’s main aim was to create a consistent overall vision that would allow visitors to see and enjoy the expressive intensity of every detail in this masterpiece. This required a measured and composed lighting design that would illuminate the contours of the sculpture and the glow of the marble. The project, which involved completely removing the previous lighting installation, features four different lighting scenarios that can accommodate different activities and visual requirements. The individual scenarios were defined according to the general criteria and requirements that determined the choice and layout of the new luminaires. The installation consists of latest-generation LED sources with a warm white tone (3000 K colour temperature), high colour rendering, long lifespan and low energy consumption. They are extremely compact and are either totally concealed or have a minimal visual impact. High-efficiency projectors with focused emissions and carefully controlled opening beams illuminate both the marble sculpture and the chapel. Track lighting was also installed vertically on either side of the pilasters in front of the sculpture to allow the projectors to be positioned at ideal heights for aiming the beams and controlling the luminance. No extra masonry work or feeding points were required and maximum visual comfort was achieved when viewing the sculpture through the safety glass, either from inside the chapel or from a distance. The light intensity of the individual luminaires is also adjustable, which is an indispensable requirement when it comes to defining and choosing between the different scenarios. The lighting system was designed not only for the sculpture, but also for the entire context of the chapel housing it. 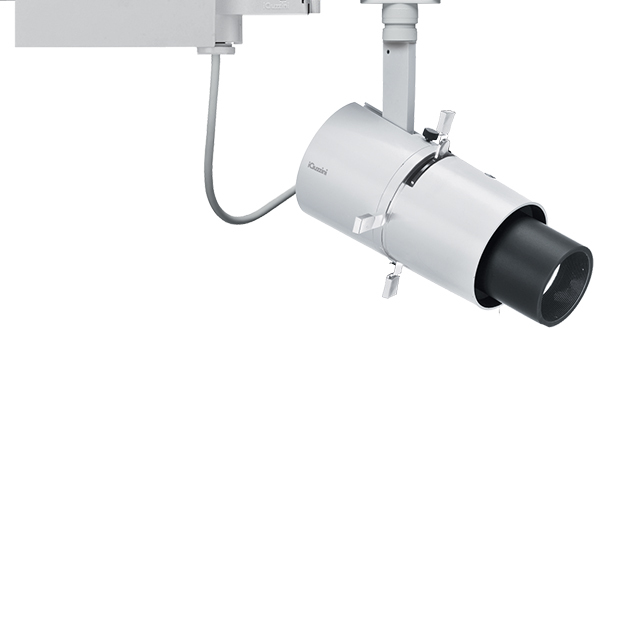 The luminaires used are Palco projectors with 12° and 26° optics and the Palco Framer profiler, all installed on low voltage tracks. Underscore linear lighting illuminates the vaults. 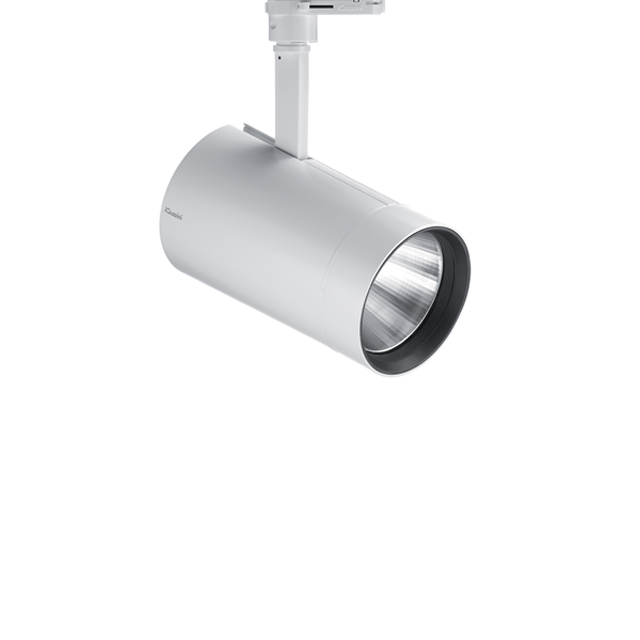 The luminaires, all DALI-controlled, are divided into groups, each with its own power unit, so that the levels of light intensity emitted can be calibrated in order to create different lighting scenarios in line with a range of visual requirements and tasks. Everything is managed by a single control system. The project defines a series of alternative lighting situations named after the four cardinal points in order to clarify their different display effects. The North Scenario – sculpture focus uses track-mounted Palco projectors installed either side of the pilasters. There is no overriding directionality and the balance of the chiaroscuro effects enhances the sculpture’s plasticity. Visitors can appreciate every individual detail while also enjoying a sense of overall harmony. The central vault, featuring frescoes by Giovanni Lanfranco, is also evenly lit with values that gradually decrease towards the capitals. The arches and lateral barrel vaults are illuminated homogeneously with less intense light. The Crucifix is illuminated diagonally by a projector mounted on the cornice, at a considerable distance. The East Scenario – light blade emits a narrow light beam that illuminates the sculpture with a blade of light effect coming from a projector mounted on the lateral capital on the east side of the sculpture. The incidence angle is clear, the surrounding shadow. The recumbent face of the Virgin Mary is also illuminated by a soft upward streak of light. The subdued lighting of the vaults and backdrop creates a frame around the sculpture and vibrant reflections enhance the shine of the marble to create a powerful visual effect with a strong emotional impact. The South Scenario – full light is designed for special events and activities which require higher lighting values which can allow clear visibility of the sculpture from the central nave of the Basilica. Compared to previous scenarios, the lighting of the central vault, arches and lateral vaults is more sustained. Frontal projectors also enhance the light grazing effect. The altar is bathed in soft light. The Crucifix is highlighted from above by a Palco projector with 26° optics. 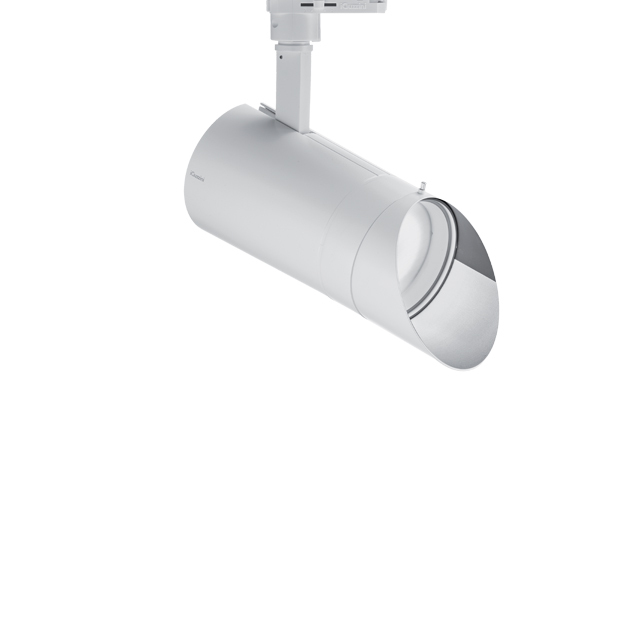 The West Scenario – daily uses track-mounted projectors with 12° optics mounted on either side of the pilasters. Their beams crisscross at symmetrical angles to highlight the sculpture’s plasticity. The background illuminated from the bottom up balances the contrasts. The central vault is evenly illuminated with values that gradually decrease towards the capitals. The side arches and barrel vaults are homogenously illuminated with less intense light. The Crucifix is highlighted by a projector located at a distance to reduce shadow effects. The chiaroscuro accents create a coherent and unitary overall perception of the sculpture with values that allow it to be viewed through the safety glass from both close up, inside the chapel, as well as from a greater distance. The new lighting design helps the viewer to better appreciate the masterpiece, while also highlighting its theological elements and devotional character so it can be fully understood.